Project collaborators: Fondazione Bruno Kessler ( Project Leader), Fraunhofer HHI, Computer vision laboratory ETH Zurich, Gameware Europe, Animal Vegetable Mineral, Wikitude, t2i trasferimento tecnologico e innovazione. 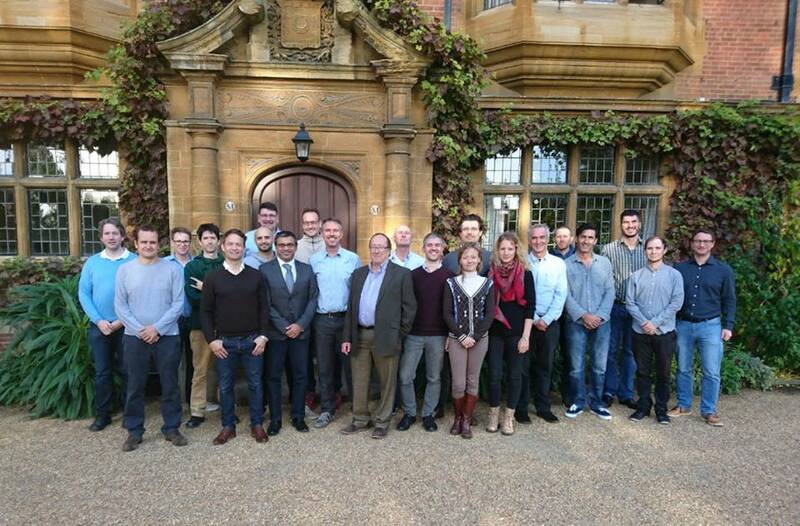 The REPLICATEteam of creative thinkers from research and private sector assembled at Trinity Hall, Cambridge for their third face to face meeting  Oct. 17-19. The inspiring setting supported deeper thinking to further progress this leading edge EU H2020 R&D project. The creative tools and components being developed are intended to provide advanced commercial creative possibilities for digital creative professionals, enhance the digital creative life of connected EU citizens and stimulate mass market digital creativity. Subsequent to 2 days of meetings and discussions at Trinity Hall, a one day IPR session organised by T2i took place at the Cambridge Union Society. The Cambridge Union is the oldest debating society in the world, and the largest student society in Cambridge. The Union is an appropriately unique forum for the free exchange of ideas and the art of public debate and has hosted such great figures as Winston Churchill, Theodore Roosevelt and the current Dalai Lama. The CU continues to provide Cambridge students with the opportunity to meet and question the people that shape our world, and has grown into the central forum for student discussion in Cambridge. The 2Ti IPR session took place in the CU library and covered IPR, TRADEMARK, PATENTS, DESIGN and COPYRIGHT issues and was led by Head of "Industrial Property Rights" department Ms. Elisa Toniolo, senior Intellectual Property Information Analyst and IPR advisor. The day was divided in two sub-slots  the morning focused on current requirements and the afternoon related specifically to the REPLICATE platform and content upload/download. Elisa skilfully guided the REPLICATE team through current state-of-the-art thinking and the team enjoyed the historic surroundings and at the end of the day relaxed together around the student snooker table.